Chinese New Year will not be the same without this snack- Love letters! This year, we have made a twist to the traditional love letters! 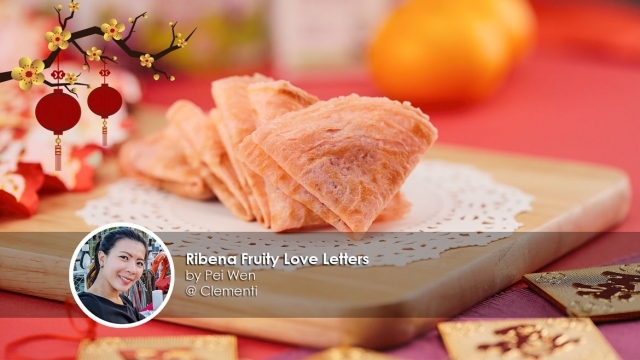 This Ribena Fruity Love Letter recipe is developed by Share Food’s Founder – Peiwen. Yes! She’s the hands behind 200 over recipes and today she’s presenting her very own creation! This is the perfect time to get hands on and make this recipe for your loved ones! Did you know that love letters were originally meant for lovebirds to communicate in the past? This is the perfect time to get hands on and make this recipe for your loved ones! 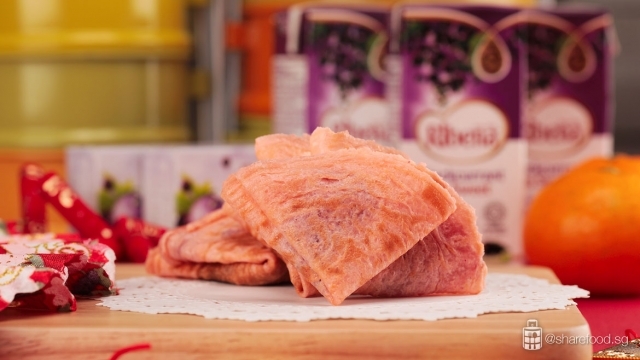 Let’s prepare some of the ingredients that you would need : 500 ml of coconut milk, 65ml of Ribena Blackcurrant less sweet fruit drink, 3 packets of Ribena Pastille (40g) – cut each pastille into half, 110g of castor sugar, 100g of plain flour, 80g of rice flour, 20g of glutinous rice flour, 3 eggs, a pinch of salt, pink gel colouring, and lastly, 3 tablespoon of vegetable oil. First, let’s prepare the love letter batter. 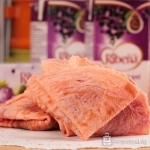 In a mixing bowl, whisk and combine the crack eggs, sugar and Ribena Fruit Drink. Add in coconut milk and 1 drop of colouring into the batter. Sift in plain flour, rice flour, glutinous rice flour and salt. Remember to whisk evenly till you achieve a smooth consistency. If the batter is too thick, add in Ribena Fruit Drink gradually 1 tbsp at a time till you achieve a pourable consistency! Also, sieve the mixture to remove any lumps. Here comes the fun part, cooking the love letter! Heat up the love letter maker and brush a thin layer of vegetable oil. 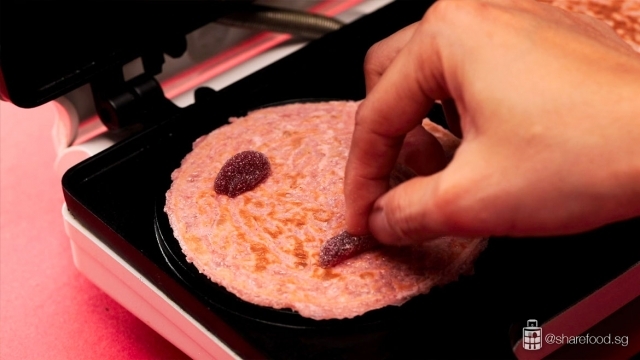 Next, pour in the batter and close the lid and let it cook for 1 min and 15 seconds before placing the Ribena Pastille. Proceed to fold the love letter and set it aside to cool. Once it has cooled down completely, it will harden and keep in an air tight container. It’s time to pig out on these Fruity Love Letters this festive season! I’m sure that your loved ones will appreciate these love letters done by you! Get a little creative by sliding a piece of note in your love letters and it’ll be a surprise when they eat it! In a mixing bowl, crack eggs, sugar and Ribena Fruit Drink. Whisk to combine. Add in coconut milk and 1 drop of colouring, whisk to combine. Sift in plain flour, rice flour, glutinous rice flour and salt. Whisk evenly till you achieve a smooth consistency. If the batter is too thick, add in Ribena Fruit Drink gradually 1 tbsp at a time till you achieve a pourable consistency. Heat up the love letter maker. Brush thin layer of vegetable oil. Pour in the batter. Close the lid and let it cook for 1 min 15 sec. Open the lid, place the Ribena pastille and fold the love letter. Set aside to cool. It will harden. Once it has cooled down completely, keep it in an air tight container.